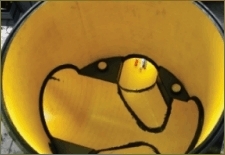 To have the possibility to control and maintain pipe systems regularly, manholes are integrated in the system. 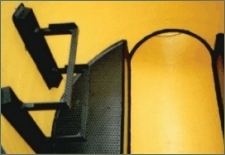 These are mainly installed at the positions of bends, reduction or branches. The manholes are made of the same material as the pipes and are also connected to the system with similar jointing techniques. 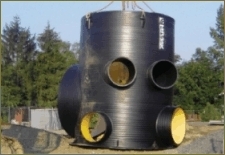 With preference, profile types like SQ and VW are used for the production of the manholes, Usually the lower part of the manhole is completely fabricated out of polyethylene or polypropylene according to the static requirements. The upper part is a concrete or reinforced concrete ring according to DIN 4034, also polyethylene material can be used. Even very complex constructions according to the engineers requirements are possible. The main advantage is the sustainable, flexible, light weight, inspection friendly, self-cleaning and durable construction. This kind of manhole is situated centrically above the pipe. 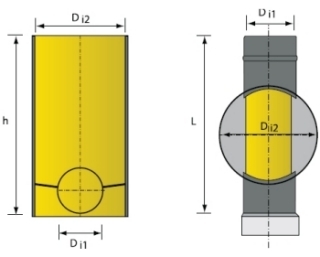 Because of static and safety reasons this type is only recommended if the diameter of the pipe is smaller or equal to the diameter of the manhole. Normally the diameters DN/ID 800mm of DN/ID 1000mm are used for this kind of manhole. This manhole is situated tangentially to the pipe, that means it is displaced from the middle. 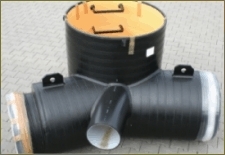 This kind of manholes used with the standard diameter of DN/ ID 1000 it can be also used by pipes with bigger diameters. 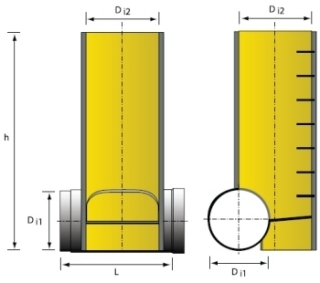 If required a manhole made of concrete can be produced with an inlet and outlet designed to connect to the KRAH MISR pipe system. Covers are suitable for all different kinds of possibilities. Especially KRAH MISR manholes.